- Political advocacy to protect your right to practice hypnosis. - Political and Legal assistance if you are personally attacked by the media. 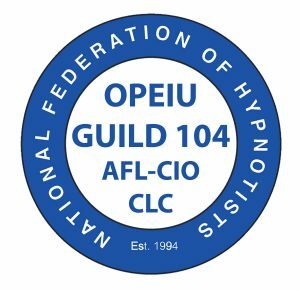 - The right to vote on issues affecting professional hypnotism. - Access to (regional) union benefit plans (mortgages, student loans, legal services). - Assistance in setting up your practice to conform to the laws of your jurisdiction. - The satisfaction of knowing you are doing your part to protect your profession. Entertainment Discounts – Save on movie tickets, theme parks, theaters, sporting events and more. Worldwide Vacation Tours – Save $150 on discounted international travel packages and tours. AT&T Wireless Discounts – Save 15% off select monthly wireless service plans from AT&T, the only nationwide unionized wireless company. Budget Truck Rental – Save 20% off truck rentals from Budget. Computer Discounts – Save up to 30% on Dell & HP laptops & desktops. Flowers – Save 20% when you send flowers, gifts or plants. Gift Certificate Discounts – Enjoy the convenience of buying multiple gift cards all in one location from some of America’s most popular merchants. Mortgage – A mortgage program to help you and your children buy a home. Moving Boxes – Union families save 15% off moving boxes and supplies. Moving Discount – Preferred moving discounts with Allied Van Lines and North American Van Lines. Pet Food, Medication, & Toy Discounts – Save 10% on pet food, toys & supplies. Save $1 off pet medications. Pet Savings – Save 25% on veterinarian services, pet supplies and more. PODS Discounts – Save up to 10% on moving and storage with PODS. Real Estate – A real estate program to help union members and their family buy or sell a home. Auto Insurance – Save with competitive group rates. Consumer Credit & Budget Counseling – Get free, confidential budget and credit counseling from certified counselors. Pet Insurance – Save up to 15% on pet health insurance premiums. Auto Buying Service – Save time and money when you buy a new or used car or truck. Car Rental Deals – Save up to 25% on car rentals with discounts from Alamo, Avis, Budget, Enterprise, Hertz, & National. Union Plus Motor Club – Get emergency roadside assistance. Consumer Reports Online Discount – Save 27% on a subscription. Legal Service – Speak to a lawyer free about any legal question or prob- lem. Free document review and 30% off additional services. Union Plus Scholarship – Awards $150,000 annually to members and their families pursuing higher education. Health Club – Pre-negotiated 15% to 30% discounts on monthly fees at over 10,000 health clubs nationwide. Health Savings – Helps cut out-of-pocket costs on prescriptions, dental, vision, hearing, physician and hospital care for the whole family.